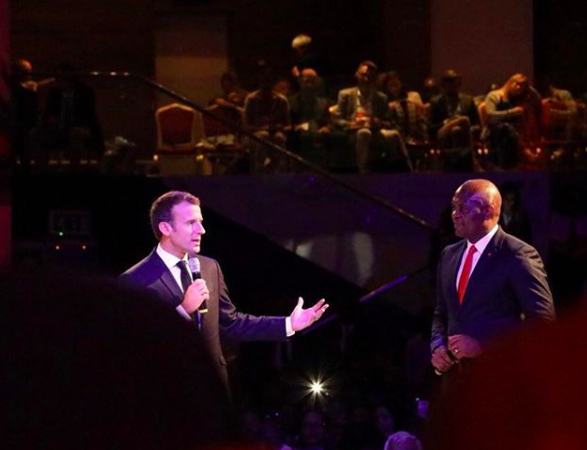 I just finished watching the full session of French President Macron – Tony Elumelu Interactive Forum hosted by the Tony Elumelu Foundation. I am working here; the video played all through. Mr. President is simply brilliant. See the eloquence, the visioning process and his mastery of elemental components of nations. You can see a man who knows his world without advisors. See the way he handled the questions – Africa needs to improve our political leadership game. Honestly, watching French President should inspire you. Watch on click.